Some great football, and determination was displayed. Will update the table as soon as its compiled. Starting 2019 in Division 1 , Good Luck!! Great night of football, the team were brilliant and continue to deliver a good level of football! Still holding on at 3rd position in the table. Great start to our new campaign Well Done, lets keep up the good work! Thank you to Miss Cosgrove for accompanying us! some really skilled individuals but fantastic team work! The table looks like this! Belgrave St. Peter's Football Team have made in to Division 1 for the second season! 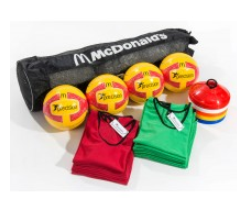 The school have become involved with Primary Stars who have sponsored us with some new sports equipment. This had a massive impact upon the Football Team and we are very grateful! 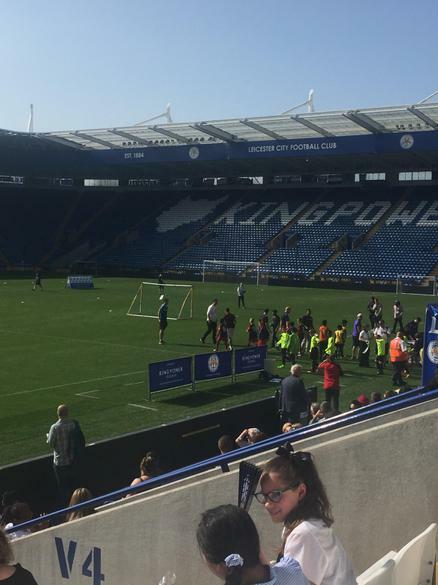 The winners of the tournament will qualify for regional finals and have chance to progress to represent LCFC Community Trust and play at King Power Stadium in May. 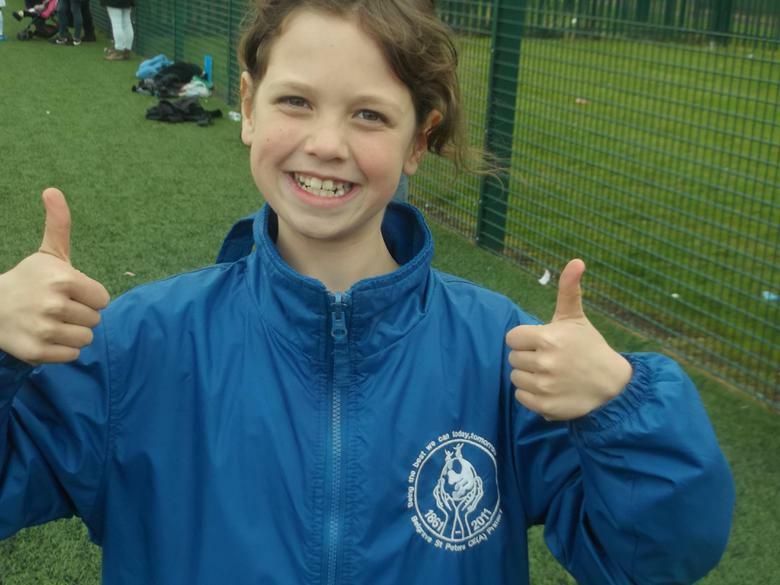 It has been fantastic football, the children are really working hard and making progress! We play all games at New College and you are welcome to attend. We are very grateful for our new Football kit!! Welcome back to a new season of football! I can confirm training sessions will be on Mondays after school, 3.15-4.30pm starting Monday 4th September 2017.
Letters need to be returned to Michelle. This meets with Health & Safety aspects of the Football Association. 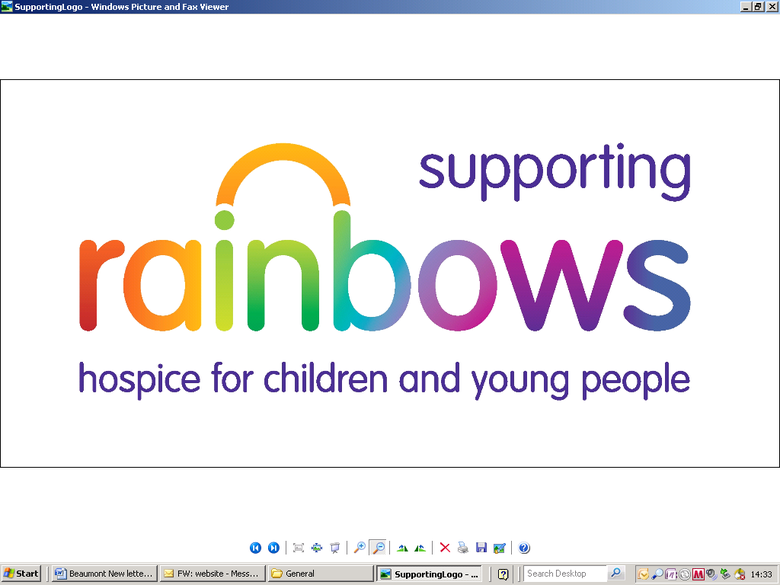 and details of outcomes of games will be on this page!! 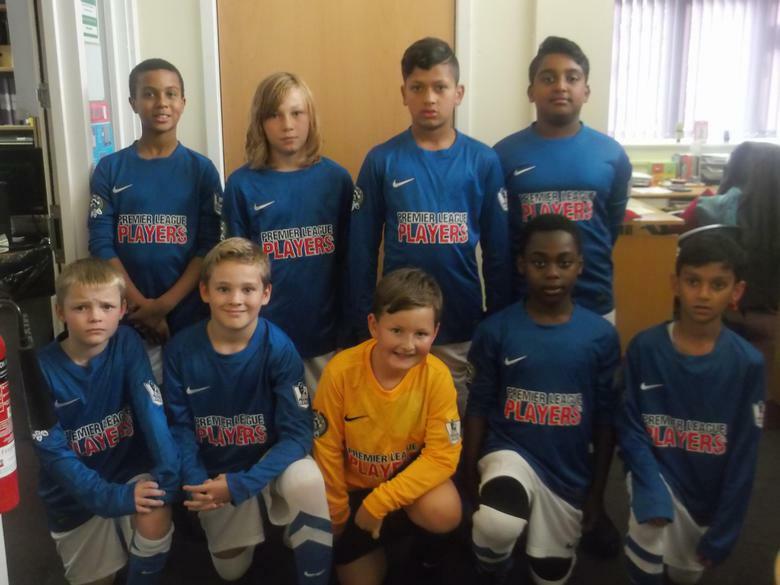 The year 5/6 football team have worked together brilliantly and achieved so much accomplishing 5th int Division 1, they should be very proud of themselves! 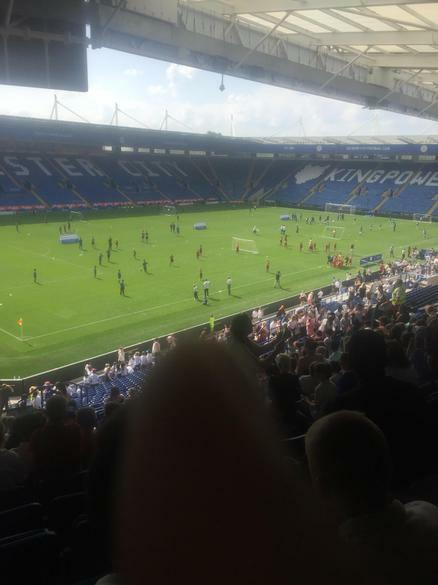 Unfortunately we did not make the finals, but as a ‘Thank you’ to them I arranged to take them to the ‘Leicester City Primary Schools Finals’ being held at the King Power Stadium! We had a great morning cheering on finalists, in the glorious sunshine!! 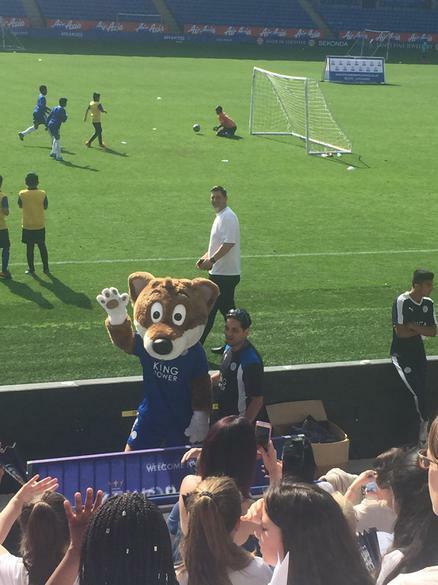 Filbert Fox made an appearance! Wednesday 15th March 2017 are our last fixtures for this season. The team have worked together brilliantly and achieved so much already, they should be very proud of themselves. We are currently in Division 1 which has proven difficult, but they have all persevered and have carried themselves very sportingly! 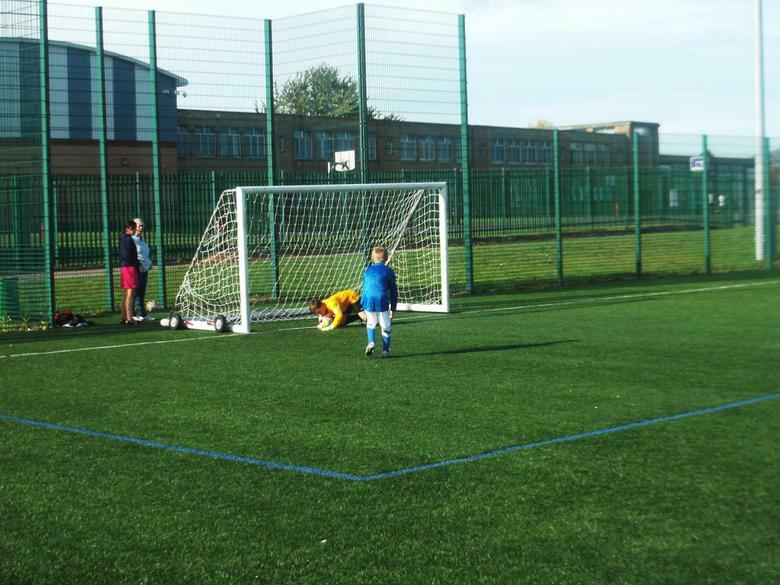 We are back at training on Tuesday afterschool, and we now have a small group of year 4 children joining the session. If you require any information please see: Michelle. The year 5/6 Football team matches begin Wednesday 18th January 2017. Keep looking out for information, results here! Monday 16th January, Monday 23rd January, Monday 30thJanuary and Monday 6th February before half term and Monday 27th February, Monday 6th March, Monday 13th March and Monday 20th March 2017. 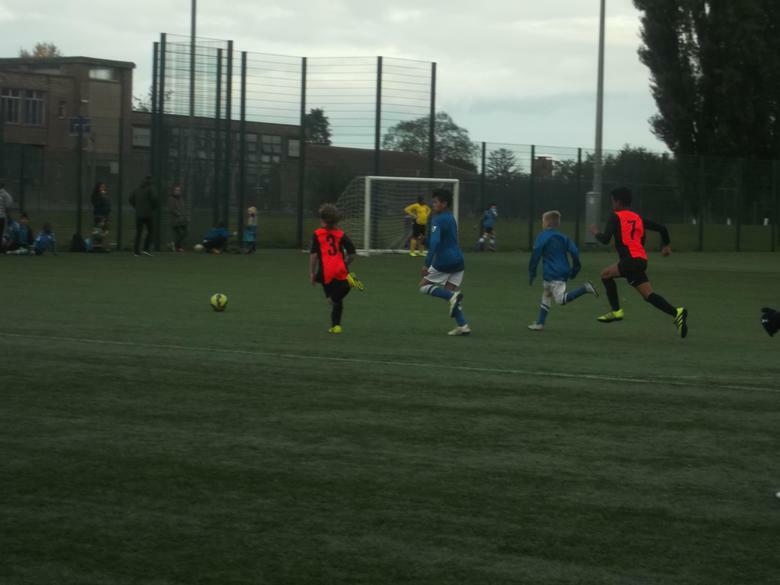 As per last year, the winners and runners up in the spring term Divisions 1 and 2 will go through to ‘Finals Day’ at LCFC. Just as soon as we get results from last set of matches they will be available here! The last games were tough and the team did their very best, and I congratulate the team who put all their efforts in and supported each other! Due to this part of the season being completed, and no games planned now until the New Year, all Football training sessions are now cancelled until further notice. I would like to thank all squad members for their full participation & commitments, the parents/carers for their patience and support of waiting around to collect their children on dark nights, and we look forward to the New Year! We are still going well and have not lost a game! Group B – Wednesday 9th November and Wednesday 23rd November. 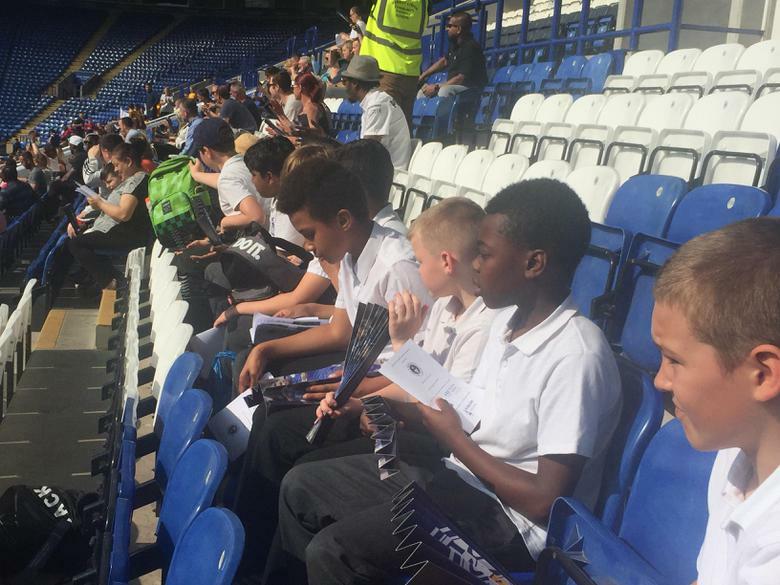 BSP (Belgrave St. Peter's) Football Team travelled to New College for their next set of matches. WELL DONE, GREAT PERFORMANCE BY ALL!! Well done Eva, our first female member of the squad!! 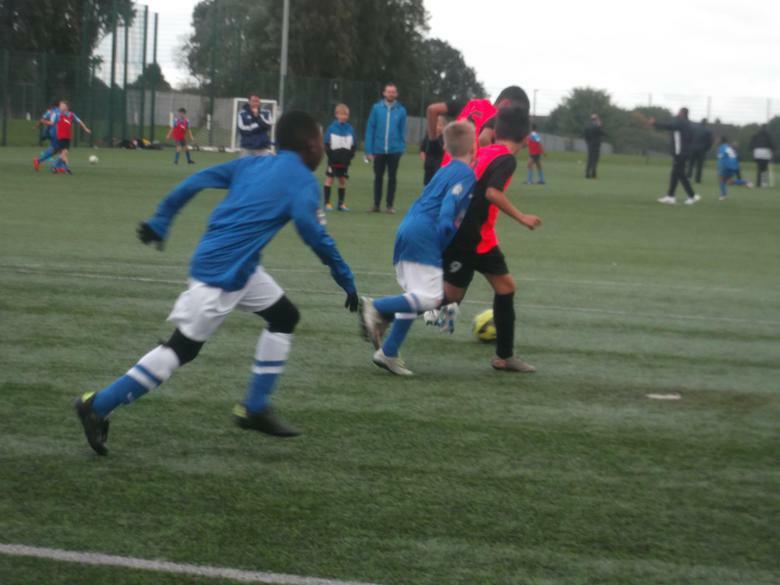 A fantastic start on our football season, well done Yr 5/6 boys who played their first games last night. The boys played St. Mary's Fields and won 1-0, then played Alderman Richard Hallam won 2-0 and then drew final game with Buswell Lodge 0-0 Go Team Belgrave. Well done to all players a real team effort!! which we have gained 10 points so far!! Thanks to parents that came and supported our team, and thank you for your patience waiting for your child to return to school (later than expected). 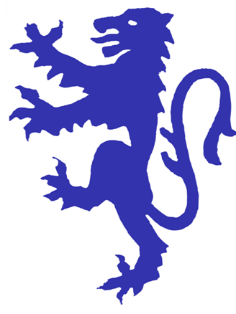 Would like to wish the Belgrave Football Team 'Good Luck' for their first set of matches being held at New College this evening! 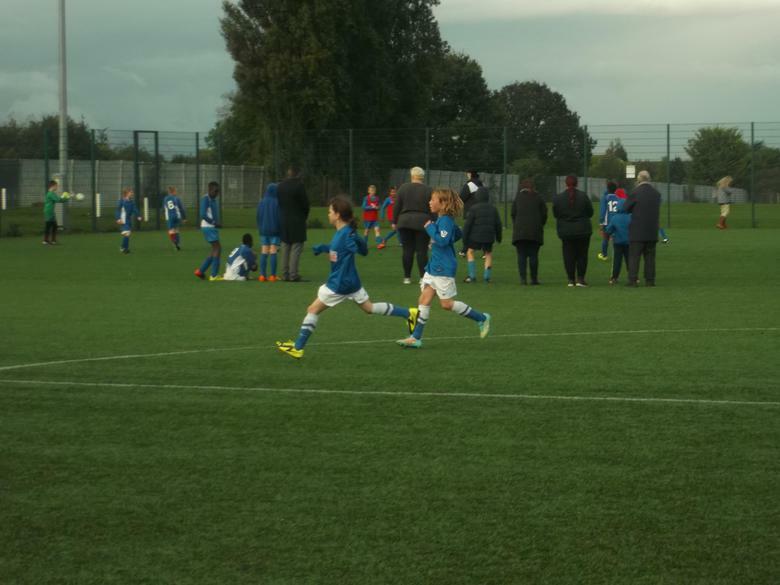 We are to start a ‘school football team’, which will be part of Leicestershire Schools Football League. These sessions are to be delivered by a qualified FA Coach. The group will train regardless of the weather so please make sure they have the appropriate clothing, and please ensure they have a water bottle. 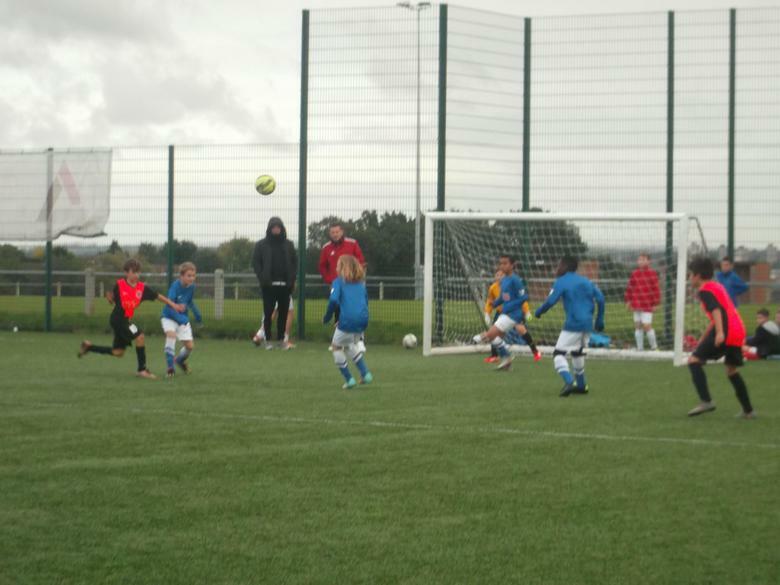 The results of games are a part of the schools league which you will receive regular updates via the school website. 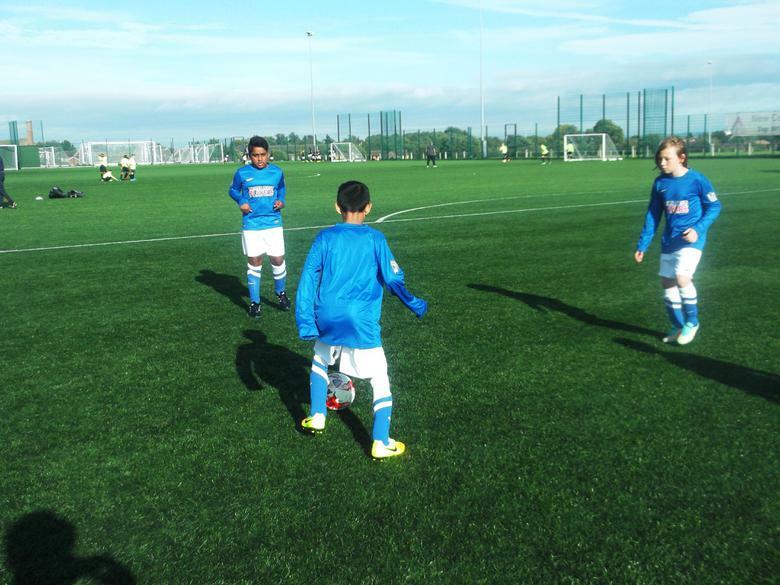 We have a squad of 14 pupils, who are to train weekly to achieve representing Belgrave St. Peter's Team.